Join us Friday, October 27th for the NonProfit Commons in Second Life meeting. 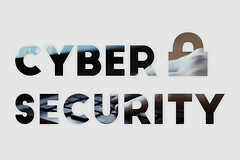 This month is cyber security awareness month, and we will be continuing on this topic by starting with a quiz based on a recent survey of US employees, and then compare and discuss our own personal Cybersecurity knowledge to the survey average. Have other pressing security questions? Bring those too for us to discuss during the meeting.